Need to stretch your iPhone/iPad app budget? 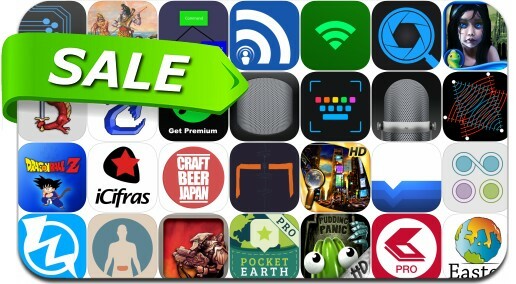 Here are 28 great iPhone, iPad and iPod touch apps that just went on sale. This app deal alert includes Dwelp, Scany, TiltShift Video, Convertible, Neuroshima Hex Puzzle, Theatre of the Absurd: A Scarlet Frost Mystery Collector's Edition, Dragon Ball, The Great Jitters: Pudding Panic, iCifras, iCatcher! Podcast Player, Doom & Destiny Advanced, Awesome Voice Recorder Pro for MP3/WAV/M4A Audio Recording, Pocket Earth PRO Offline Maps, FineScanner PRO and many others.